There are special eating disorders programs developed for eating disorder patients. A patient receiving these programs is provided with medical and psychiatric stabilization. In most of the cases, people with an eating disorder need to stay at an inpatient treatment centre. The journey towards recovery is pretty easy, simple and comfortable. However, some patients need to stay in a treatment centre for inpatient eating disorder treatment. This is the only lifesaving way. If you or someone in your family is suffering from eating disorders, you need to understand whether getting admitted to inpatient drug treatment centers is required or not. This depends on the level of care required for inpatient eating disorder treatment. And the level of care required can be determined by seeing the patient first-hand. The following five signs can indicate whether you need an inpatient program for this disorder or not. It is an obvious sign of eating disorders. Low body weight can be very dangerous especially in people who have maintained very low weight for a long span of time. People with rapid significant weight loss are also at risk. 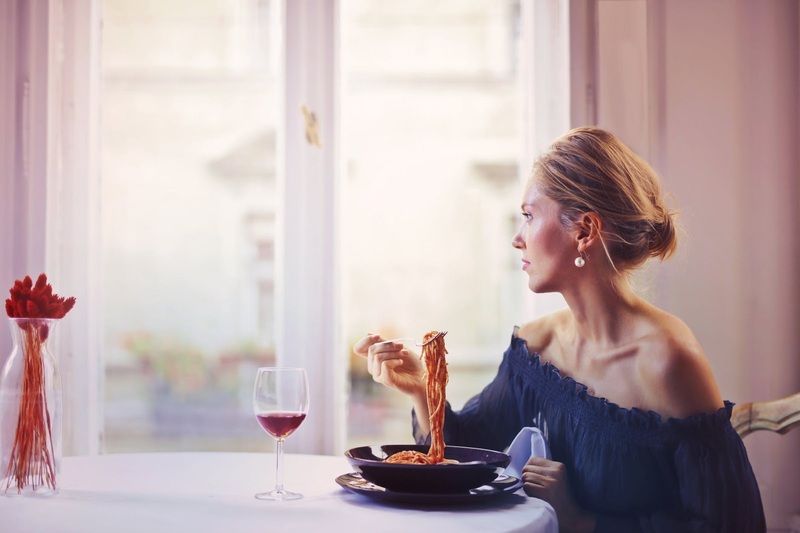 According to the Academy of Eating Disorder, anyone having weight 75% less than the ideal weight should seek inpatient eating disorder treatment. However, this is not a hard and fast rule. If medical professionals feel that they can treat the patient without admitting, they can go for that. However, the medical professional should know that a person with severely low body weight can suffer from health consequences such as osteoporosis, dizziness, fainting or amenorrhea. This can also lead to life-threatening symptoms. Electrolytes are minerals with an electric charge. Minerals and salts such as sodium chloride and potassium help our body in performing various vital biochemical functions. Potassium regulates heart contractions and keeps blood pressure stable. Calcium plays an important role in cell division and blood clotting. An eating disorder behaviour can lead to too less or too much production of these electrolytes. This leads to electrolyte imbalance. There can be catastrophic consequences of this imbalance. Purging eating disorder behaviours such as laxative abuse or self-induced vomiting can cause low potassium or Hypokalemia. This can further cause heart arrhythmias which sometimes leads to sudden death. Excess of sodium in the blood can cause hypernatremia. Hypernatremia can lead to cramps, seizures and comas. Bradycardia is too slow heart rate. Apart from age, the heart rate also depends on your physical condition. So, what could be too slow heart rate, this depends on your age and physical condition. An eating disorder can make your heart shrink. This is scary but true. When you are losing weight, you are actually losing muscle mass. Your heart is also a muscle. It will start shrinking when you start losing weight. Your brain will slow down the heart rate in order to protect the weakened heart. Low heart rate can be deadly as well. Some eating disorder patients are referred to as inpatient treatment centres for psychiatric stabilization. If a patient has both an eating disorder and some comorbid condition such as depression, the patient often does not respond to lower levels of eating disorder treatment. In this case, the patient should be hospitalized. The patient can return to low levels of eating disorder care only and only when the symptoms of depression are stabilized. Some eating disorder patients with suicidal behaviours or thoughts also need an inpatient program. Some eating disorder patients need not be admitted to inpatient treatment centres because they are psychiatrically and medically stable. However, some psychiatrically and medically stable patients refuse to engage in a lower level of care. These patients should be admitted.